Tamdgidi, M. H. 2013. “Editor’s Note: I Think; Therefore, I Don’t—Tackling the Enormity of Intellectual Inadvertency.” Human Architecture: Journal of the Sociology of Self-Knowledge, v. XI, n. 1, Fall. Tamdgidi, M. H. 2012. “Editor’s Note: To Be of But Not in the University.” Human Architecture: Journal of the Sociology of Self-Knowledge, v. IX, n. 1, Winter. Tamdgidi, M. H. 2011. “Editor’s Note: De-Museumizing Migrations Without and Within.” Human Architecture: Journal of the Sociology of Self-Knowledge, v. IX, n. 4, Fall. Tamdgidi, M. H. 2011. (with Eleanor Kutz and Vivian Zamel). “Editors’ Note: Becoming Innovative, Technologically Savvy Teachers.” (with Eleanor Kutz and Vivian Zamel). Human Architecture: Journal of the Sociology of Self-Knowledge, v. IX, n. 3, Summer. Tamdgidi, M. H. 2011. “Editor’s Note: Know Thy—Student—Selves.” Human Architecture: Journal of the Sociology of Self-Knowledge, v. IX, n. 2, Spring. Tamdgidi, M. H. 2011. “Editor’s Note: Beyond the Dissociative Disorder and Hypnosis of Rigid Disciplinarity.” Human Architecture: Journal of the Sociology of Self-Knowledge, v. IX, n. 1, Winter. Tamdgidi, M. H. 2010. “Editor’s Note: Exploring Islamophobia in the Spirit of the Late Nasr Abu-Zayd.” Human Architecture: Journal of the Sociology of Self-Knowledge, v. VIII, n. 2, Fall. Tamdgidi, M. H. 2010 (with Vivian Zamel and Anna Beckwith). “Editors’ Note: Teaching Transformations 2010.” Human Architecture: Journal of the Sociology of Self-Knowledge, v. VIII, n. 1, Spring. Tamdgidi, M. H. 2009. “Editor’s Note: Mahmoud Darwish’s Parting Gift.” Human Architecture: Journal of the Sociology of Self-Knowledge, v. VII, Special Issue. Tamdgidi, M. H. 2009. “Editor’s Note: Migrating Identities and Perspectives.” Human Architecture: Journal of the Sociology of Self-Knowledge, v. VII, n. 4, Fall. Tamdgidi, M. H. 2009. “Editor’s Note: Sociological Imaginations In, Of, and Beyond Universities.” Human Architecture: Journal of the Sociology of Self-Knowledge, v. VII, n. 3, Summer. Tamdgidi, M. H. 2009. “Editor’s Note: Historicizing Anti-Semitism.” Human Architecture: Journal of the Sociology of Self-Knowledge, v. VII, n. 2, Spring. Tamdgidi, M. H. (with Jay Dee and Vivian Zamel). 2009. “Editors’ Note: NECIT, CIT, and Teaching Transformations 2009.” Human Architecture: Journal of the Sociology of Self-Knowledge, v. VII, n. 1, Winter. Tamdgidi, M. H. 2008. “Editor’s Note: Microcosms of Hope.” Human Architecture: Journal of the Sociology of Self-Knowledge. v. VI, Issue 4 (Fall), vii-viii. Tamdgidi, M. H. 2008. 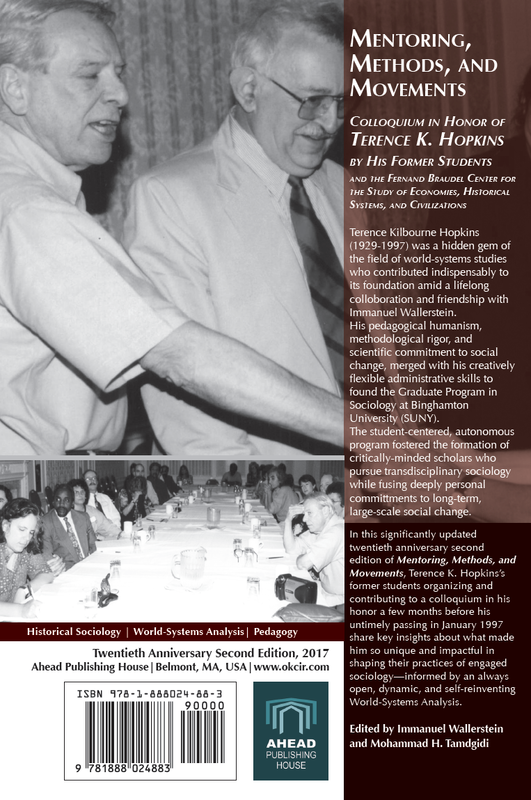 “Editor’s Note: Thich Nhat Hanh’s Sociological Imagination.” Human Architecture: Journal of the Sociology of Self-Knowledge. v. VI, Issue 3 (Summer), vii-x. Tamdgidi, M. H. 2008. “Editors’ Note: Toward Sociological Re-Imaginations of Science & Peer Reviewing.” Human Architecture: Journal of the Sociology of Self-Knowledge. v. VI, Issue 2 (Spring), vii-xi. Tamdgidi, M. H. 2008. (With Vivian Zamel). “Editors’ Note: Teaching Transformation.” Human Architecture: Journal of the Sociology of Self-Knowledge. v. VI, Issue 1 (Winter), vii-viii. Tamdgidi, M. H. 2007. 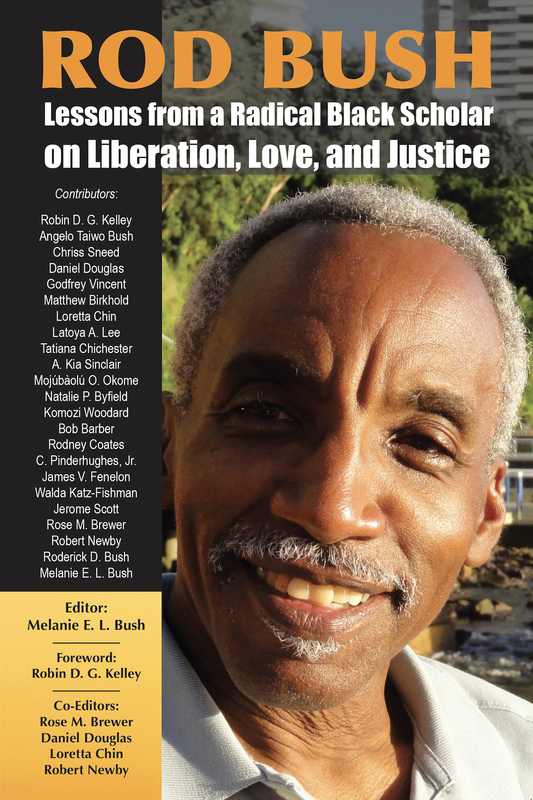 “Editor’s Note: Reflections on Fanon.” Human Architecture: Journal of the Sociology of Self-Knowledge. v. V, Special Double-Issue (Summer), ix-x. Tamdgidi, M. H. 2007. “Editor’s Note: My Architect (1930-2007).” Human Architecture: Journal of the Sociology of Self-Knowledge. v. V, Issue 2 (Spring), vii-viii. Tamdgidi, M. H. 2006. “Editor’s Note: Probing Islamophobia.” Human Architecture: Journal of the Sociology of Self-Knowledge. v. V, Issue 1 (Fall), vii-xi. Tamdgidi, M. H. 2006. “Editor’s Note: Re-Membering Anzaldua.” Human Architecture: Journal of the Sociology of Self-Knowledge. v. IV, Special Issue (Summer), ix-xii. Tamdgidi, M. H. 2005/6. “Editor’s Note: Peer Reviewing the Peer Review Process.” Human Architecture: Journal of the Sociology of Self-Knowledge. v. IV, ns. 1&2 (Fall/Spring), vii-xv. Tamdgidi, M. H. 2004/5. “Editor’s Note: Sociology of Self-Knowlege: Course Topic as well as a Pedagogical Strategy.” Human Architecture: Journal of the Sociology of Self-Knowledge. v. III, ns. 1&2 (Fall/Spring), vii-ix. Tamdgidi, M. H. 2003/4. 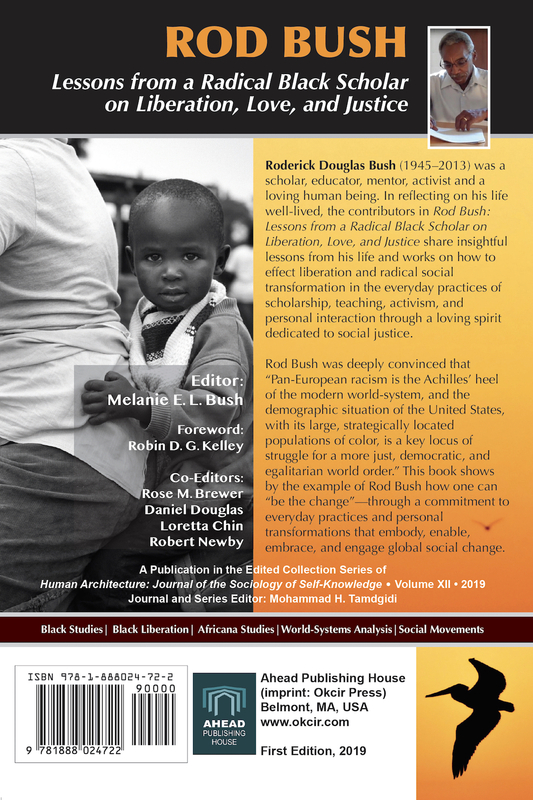 “Editor’s Note: AWelcoming Statement to the Editorial Advisory Board.” Human Architecture: Journal of the Sociology of Self-Knowledge, v. II, n. 2, Fall/Spring, vii-ix. Tamdgidi, M. H. 2003. 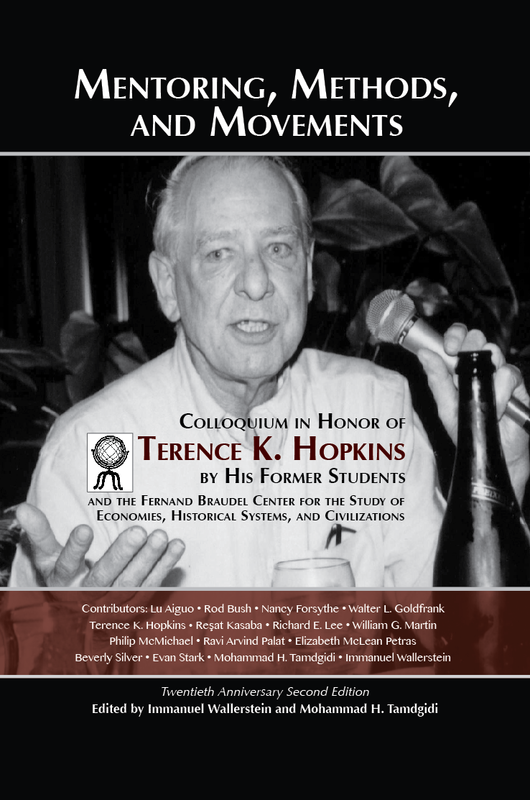 “Editor’s Note: Social Theories, Student Realities.” (Review of the book Achieving Against the Odds: How Academics Become Teachers of Diverse Students, co-edited by Esther Kingston-Mann and Tim Sieber, Philadelphia: Temple University Press, 2001.) Human Architecture: Journal of the Sociology of Self- Knowledge, v. II, n. 1, Spring, v-xii. Tamdgidi, M. H. 2002. “Editor’s Note: Spiritual Renaissances & Social Reconstructions.” Human Architecture: Journal of the Sociology of Self-Knowledge, v. I, n. 2, Fall, v-vi. Tamdgidi, M. H. 2002. “Editor’s Note: Social Policies and Life Courses.” Human Architecture: Journal of the Sociology of Self- Knowledge, v. I, n. 1, Spring, v-vi. A Family of Neglect and “Dysfunction”: Personal Blames or Structural Constraints? Why Is P Afraid to Love a Woman? “Housing Project” In Comparative Perspective: Opportunity or Stigma?